Our Blog, Dependable Exterminating Blog has informative information on the Pest of The Month and How We Combat Them. Visit our Pest Control Blog. We service the five boroughs of New York City, Westchester County NY, Rockland County NY and Orange County NY. Let us be your Pest Control Company, Call Today 1-844-305-8999. Our Dependable Exterminating Blog has informative information on the Pest Of The Month and How We Combat Them. When is termite season? Termites "swarm" as the weather begins to warm, usually at the beginning of spring, after a rain. Sadly, it is that time of year again. To ensure your property does not become the "new colony" on the block, call Dependable Exterminating today for a free termite inspection. When is termite season? Termites "swarm" as the weather begins to warm, usually at the beginning of spring, after a rain. Sadly, it is that time of year again. In order to ensure your property does not become Termite Infested Call Us Today For A Free Termite Inspection. 1-844-305-8999. Webbing Clothes Moths tend to hide when disturbed, so you might not notice you have an infestation until after the moths have already damaged your fabric, fur, or feathered items. Clothes moths are often confused with Indian meal moths, but the two are actually very different, primarily in the materials on which they feed and the places they are found. Indian meal moths are pantry pests while clothes moths, as their name indicates, feed on fabrics. If you see moth damage Give Us A Call Today. 1-844-305-8999. The return of winter means you'll be spending more time in your home, but you won’t be the only one seeking shelter. As temperatures drop, mice and rats head indoors to search for food, and they pick your house for their new residence. These pesky pests invade your home in a variety of crafty ways. Mice can squeeze through a hole the size of a pencil eraser. If you see mice in your home Give Us A Call Today. 1-844-305-8999. Differences between mice and rats may seem obvious to many, but some of the differences may be subtler than you think. The typical House Mouse is anywhere from two to four inches in length, as opposed to the common, and much larger, Norway Rat which measures seven to nine inches in length. Of course, they both fall into the rodent family and both cause extensive damage if they invade your home. The boxelder bug is a North American species of true bug. At about 1/2-inh long, boxelder bugs are black with three red stripes, vertical edge lines on their bodies, and red lines on the edges of its wings. It is found primarily on boxelder trees, as well as maple and ash trees. You may find the red edging of its black wings to be rather pretty, but when boxelder bugs invade your home, they can become quite a nuisance! Although this red and black bug does not cause damage, few people enjoy having large insects crawling out of cracks, onto their walls, windows, lights, or furniture. Marmorated Sting Bugs are oval shaped insects that looks like a shield when observing the insect from above. When they are nymphs, they are red in color that becomes black and ultimately brown as soon as they become adults. They feed on plants and can become serious pest of crops. The commonly attack fruit on trees leaving the fruit unfit for sale. Homeowners are experiencing problems with this insect due the fact they like to enter homes to Overwinter. It’s not uncommon to get swarms of stink bugs on exterior areas of homes as well as in attics and other areas. We received many calls this August for Wasp Nest Removals, Hornet Nest Removals and Bee Hive Removals. Wasps are usually shiny or appear smooth, while bees are usually fuzzy. Yellow jackets are a ground-nesting wasp that is common in New York City NY, Westchester County NY, Rockland County NY and in Orange County NY. They are about the size of or a little larger than a honeybee and have bright yellow and black bands around their bodies. Hornets are simply large wasps. If you have Bees, Wasps or Hornets on your property that you would like removed, Give Us A Call Today. 1-844-305-8999. Groundhogs will cause extensive damage to your property and landscape. Groundhogs rarely pose a threat to humans or pets, as they are more afraid of them than anything. They sometimes emit a shrill “whistle” when frightened and will run into their den opening. However, a cornered groundhog will fight to defend itself and, like all mammals, they can carry the rabies virus. Care and respect need to be taken when dealing with wildlife, including the groundhog. We offer Groundhog Trapping Service in New York NY, Westchester County NY, Rockland County NY and Orange County NY. Give Us A Call Today. 1-844-305-8999. The American cockroach is also commonly known as the Waterbug. There is no worse feeling then turning on your Kitchen Light and seeing a Waterbug on your counter top or wall. Our Waterbug Exterminator will identify the source of the infestation & create a customized treatment plan to eliminate the Waterbugs. If you notice you have Waterbugs or would like an inspection, Give Us A Call Today @ 1-844-305-8999. Ant infestation is the most commonly reported pest problem. These tiny scavengers will enter your home or business looking for moisture and an accessible food source. 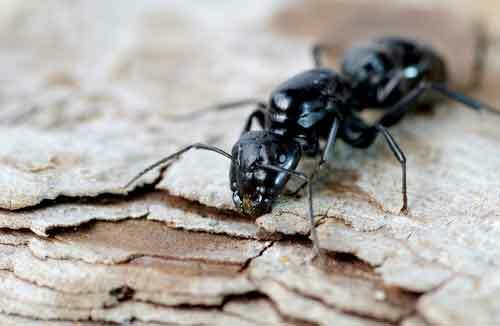 Rotting or damp wood that is moldy can attract ants and become ant infested. Ants also feed on sugar, cheese, meats, vegetables, grease, peanut butter, and dead insects. Ants often enter a home through cracks around windows or doors, but they can find numerous entrances to your home or building. 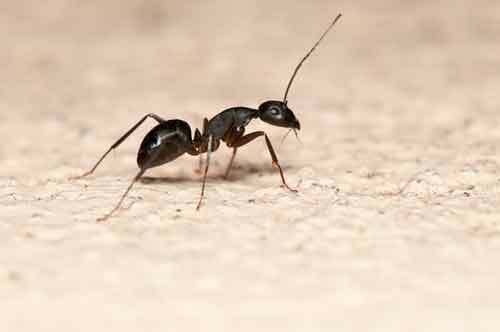 If you notice you have Ants or would like to have an Inspection, Give Us A Call Today @ 1-844-305-8999. It's Stinging Insect Season. While honey bees can attack when provoked, Wasps and Hornets are naturally more aggressive and likely to stalk public gatherings in search of human food. While observers can easily confuse common Wasps Bees and Hornets at a distance or without close observation, there are many different characteristics of large bee’s, wasps and hornets that can be used to identify them. At Dependable Exterminating our Stinging Insect Technicians are trained to identify and remove all types of Stinging Insects from your home and property. If you have Bees, Wasps or Hornets or would like an Inspection Give Us A Call Today @ 1-844-305-8999. Many yellow jackets are ground-nesters. Their colonies can be found under porches or steps, in sidewalk cracks, around railroad ties or at the base of trees. Sometimes the queen uses a wall void of a building as a nesting place. Some yellow jackets build aerial nests in bushes or low-hanging branches or in the corners of buildings and other manmade structures. Recognizing that you have clothing moths will be your first step to eliminating them from your home. The signs aren’t usually apparent until you discover damage wrought by the clothes moth larvae. Clothing moths primarily seek out animal-based fabrics, as well as fur, hair, leather, feathers and taxidermy. If those materials can’t be found, the larvae of these bugs will also eat lint, dust, cotton and linen because they are often saturated with tasty oils. Call Dependable Exterminating today for your Clothing Moth Inspection at 1-844-305-8999. The American cockroach, also colloquially known as the water bug, but not a true water bug since it is not aquatic, or misidentified as the palmetto bug, is the largest species of common cockroach, and often considered a pest. American cockroach is an average length of around 4 cm (1.6 in) and about 7 mm (0.28 in) tall. They are reddish brown and have a yellowish margin on the body region behind the head. Immature cockroaches resemble adults except they are wingless. The insect can travel quickly, often darting out of sight when someone enters a room and can fit into small cracks and under doors despite its fairly large size. It is considered one of the fastest running insects. If ants are invading your home, take solace in the fact that you're not alone. The always dreaded ant season is now upon us! Let our Certified Pest Control technicians protect your home and business from becoming the “new colony” on the block. Call us today for a estimate on all your pest control needs, and receive an extra 10% off your bill, by simply mentioning our website!